Sonic Jazz Project step out in St Ives…. Tuesday 4th August was a really great night for the band! We played at St Ives Jazz Club to a full house. 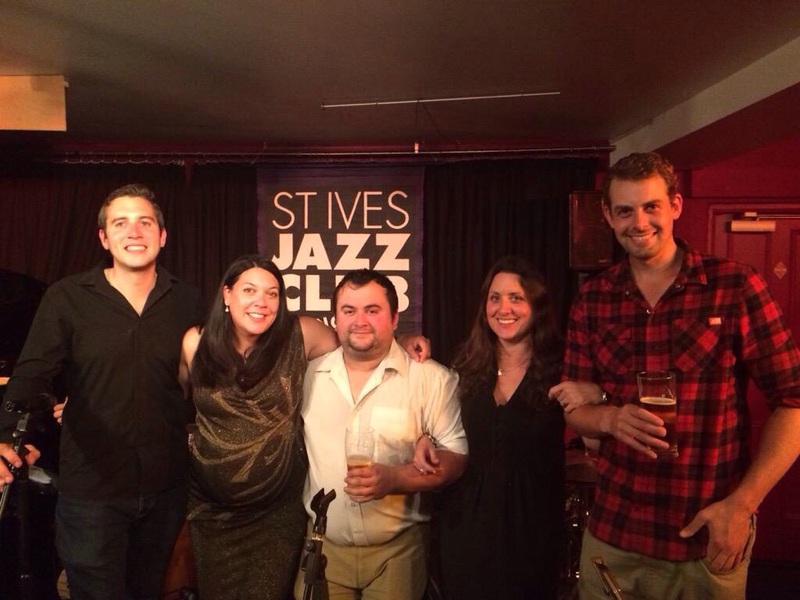 Here’s a little write up from the St Ives Jazz Club Facebook Page…..
And here we are relaxing at the end…. Thank you to everyone who came along and supported us, bought a ticket, a drink and a CD! We’re playing on the opening night of Bude Jazz Festival on 1st September (tickets here) and there are plenty of shows lined up in August – check out our future events listings here: future events. See you soon! 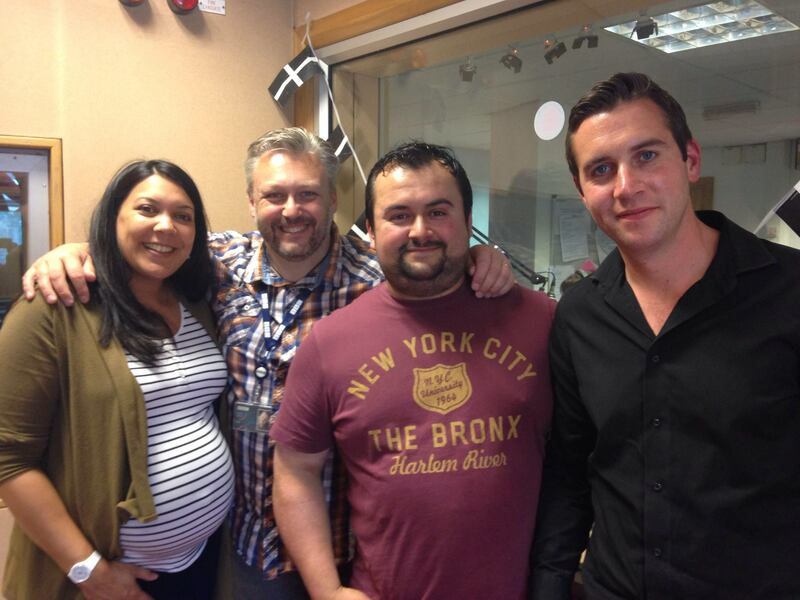 BBC Radio Cornwall here we come! Jazz on a rainy day? Yes, please! We’ve not had the best summer weather in Cornwall so far this year, it’s true. However, the expression ‘the best is yet to come’ rings true! 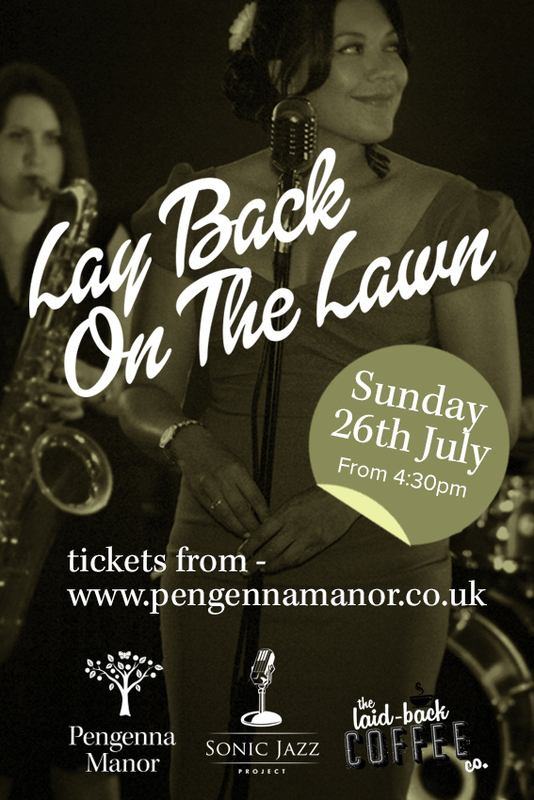 On Sunday 26th July from 4.30pm, Pengenna Manor will host their first ever ‘Lay Back On The Lawn’. The concept is simple: smooth soulful jazz, great company, food, drink and a rare chance to relax and unwind with friends and family in the stunning private grounds of Pengenna Manor House, near St Teath. Owing to the weather we’ve had and the heavy rain, we will most likely be in a cosy barn, with hay bales for seats, a grassy courtyard for children to stretch their legs and the Laid Back Coffee Company will be on-hand to keep you refreshed with coffees, cakes and even a boozy hot chocolate. The line-up for the event will be: Sonia McLean (vocals), Tom Quirke (piano), Ross Williams (double bass), Ashley James (drums) & Sarah McDonagh (sax/flute). The music? Expect some funky and original arrangements of well-loved jazz standards like Feelin’ Good, Cheek to Cheek, Wonderful World and the odd romantic ballad, like, A Nightingale Sang In Berkeley Square. 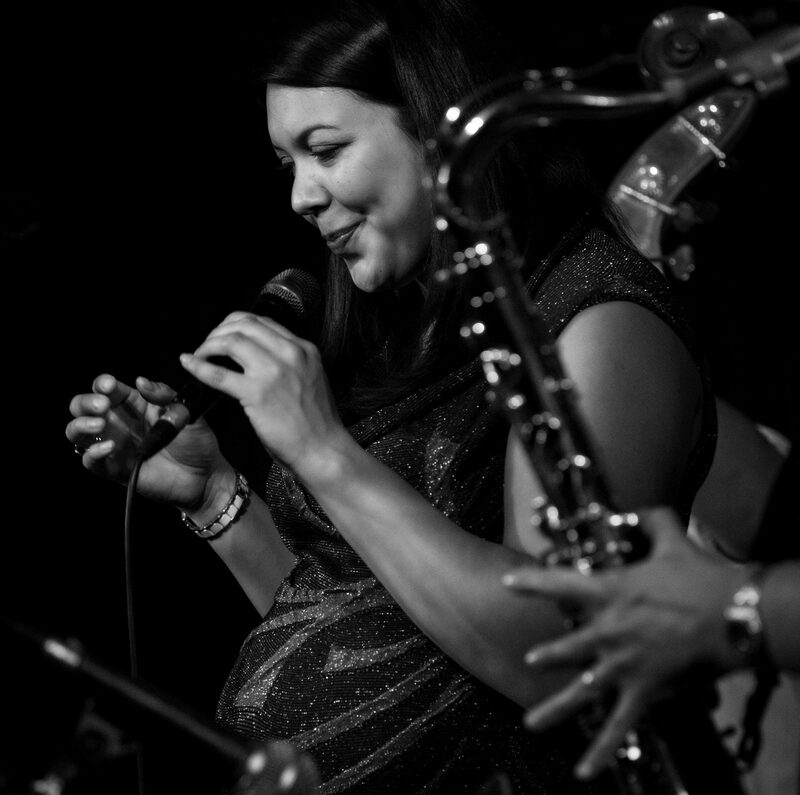 There’ll be a touch of latin bossa nova, some blues, a few ballads and some toe-tapping swing. We will also play some original material and original arrangements of some well-loved modern songs. The sound? Mellow vocals, stylish and breathtaking solos and a togetherness from the ensemble that will warm you heart – especially on a rainy day. Tickets are selling fast, so follow this link to get yours (£10 Adults, £5 Under 12s). You can find Pengenna Manor halfway between Wadebridge and Camelford just off the A39 in the Allen Valley. Postcode: PL30 3HX.